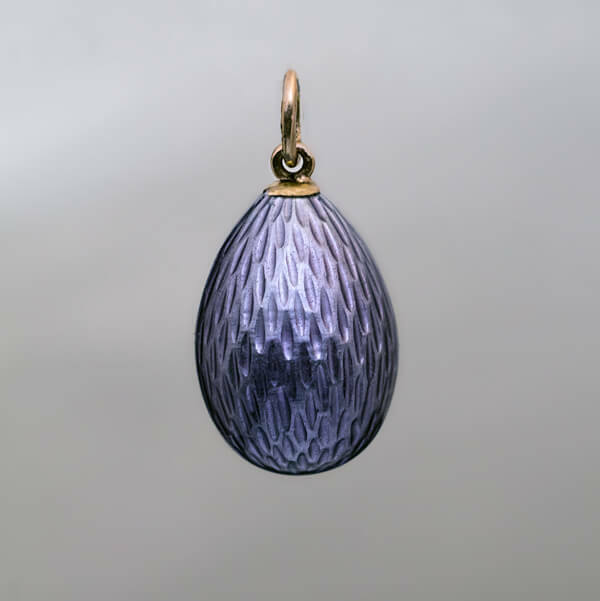 Made by Faberge in St. Petersburg between 1908 and 1917. 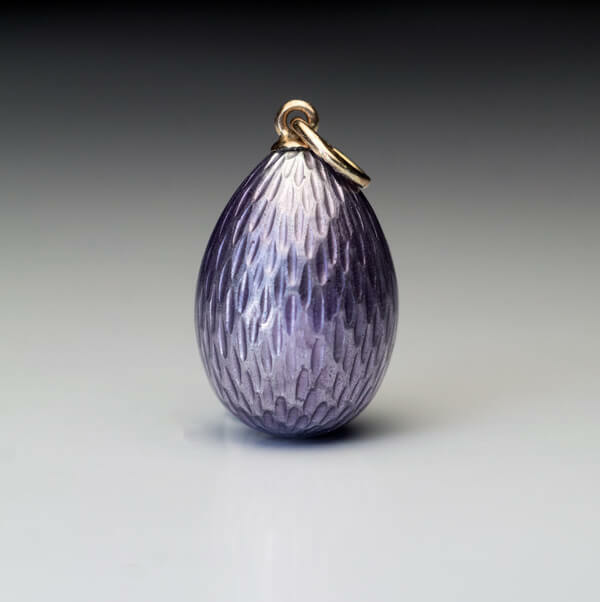 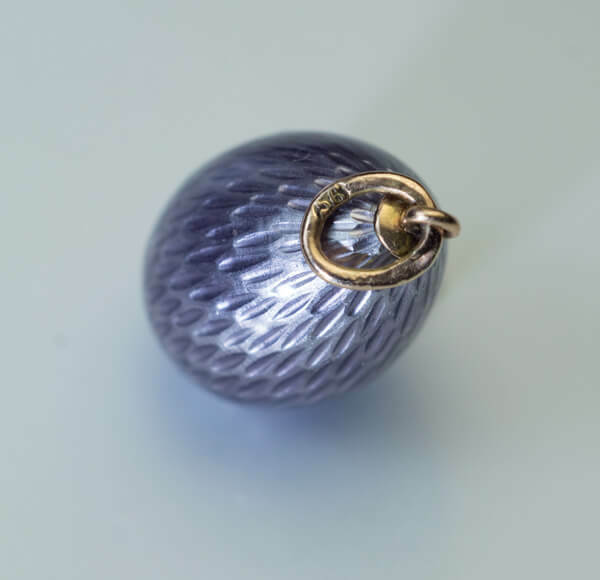 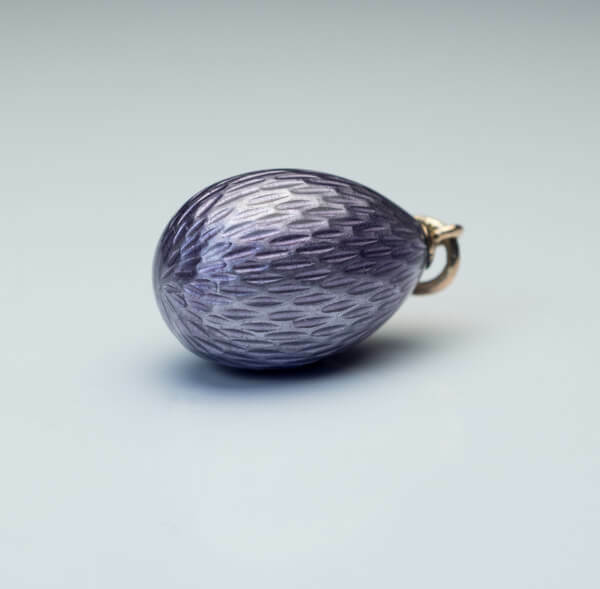 A gold mounted miniature egg is covered with a silver lilac guilloche enamel, one of Faberge’s favorite colors. 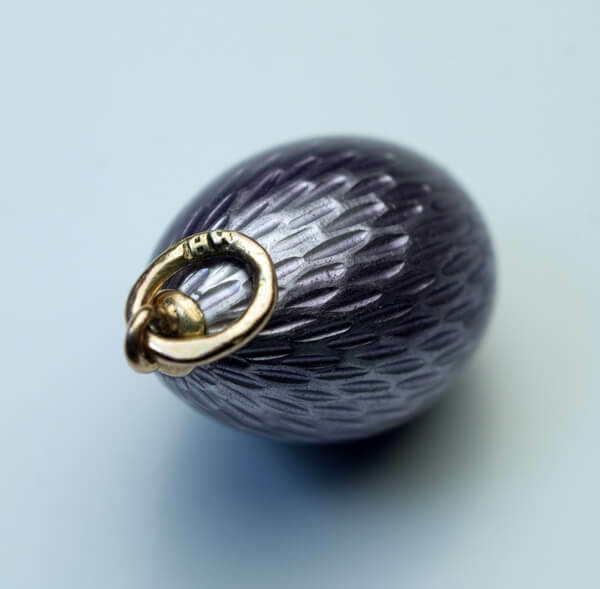 The egg is marked with 56 zolotnik Imperial gold standard and workmaster’s initials ‘HW’ for Faberge’s workmaster Henrik Wigstrom.